Headquartered in Mauritius’ International Financial Centre with a representative office in South Africa, AfrAsia Bank Limited was incorporated in 2007 with the mission of bridging the world’s top two fastest-growing markets – Africa and Asia. Following a banner year in 2017, the bank is now focusing on investing more in human capital and training. 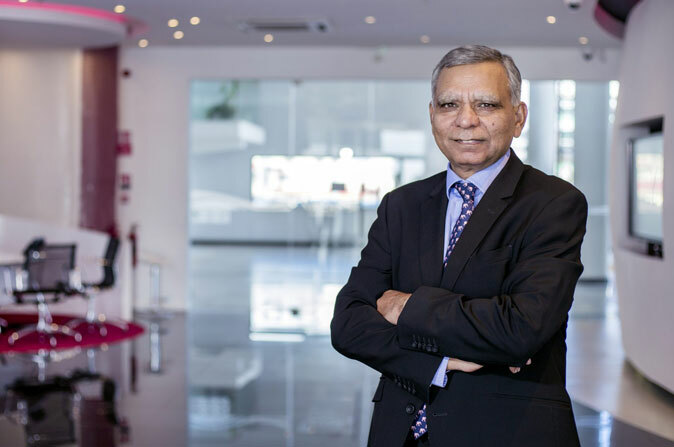 AfrAsia Bank CEO Sanjiv Bhasin reflects on Mauritius’ rise, potential hurdles, fintech and future outlook. What factors most led to Mauritius’ rise? Mauritius is a great economic success story by any metric – be it GDP growth, per capita income, employment generation or general wealth. The country has come a long way in its 50 years. It has the requisite elements in terms of modern infrastructure, a well-established democracy, a peaceful environment and a hybrid culture, which amalgamates itself in a way that is most effective. It has also diversified in terms of economic contribution, transforming from a monocrop nation to a developed tourism and financial services hub, while looking for ways to participate to fintech and the ICT space. This great success is further demonstrated by the fact that regulators hold a modern and facilitating outlook. The government has been responsive to their requests for changes and has by large taken advantage of the island’s small size, both in terms of economic behaviour and productivity. If you look at other small island nation economies and benchmark them against us, Mauritius appears as an outstanding success story. Which financial services does Mauritius need to develop? The future of global financial services lies within the fund management, debt raising and wealth management industries. If we compare Mauritius’ financial industry to Singapore, the island is not that far behind, however these areas are where fine-tuning is needed. I believe Mauritius is just the right size and has the required capabilities to eventually achieve this. This is the advantage of a small island. Mauritius has the environment, the people and all the necessary tools to create this future. It can select what it wants to do and become the best in that space. How is the tax haven label being tackled? This perception is being addressed very strongly. All the requirements and regulations that have come out in the last decade – for example, all companies need to have an office of substance or employ people locally – aim to address this. The effort required to change this perception has to be on going. The good thing is that the regulator and the government are aware of it and their combined efforts are visible. Some may believe that these jurisdictions are only used for saving from taxes, but this is not entirely correct. There is a need for some form of tax and investment protection to ensure funnels for new investment. This is what jurisdictions like Mauritius offer. What is needed for Mauritius to play a larger role in fintech developments? The Economic Development Board has made it clear that one of its desires is to promote the FinTech industry, which requires robust and impactful infrastructure. By infrastructure, I mean a combination of talent, which is going to develop new applications in this field using new technology, and knowledge that imparts this know-how with multiple international peers. If there is more talent needed locally, a jurisdiction has to invite it. California became what it is because of its enabling environment. In California, there are technology-focused banks and incubators to assist initial stage technology developments. When all these pieces are put together, the real growth for fintech in Mauritius will be unlocked. What contribution can Mauritius give to the world of fintech? The greatest advantage of the island in terms of fintech is that Africa is its hinterland and will play a major role in the commercial use of financial technology. This is thanks to new technology that is superior, cheaper and more effective and the reason why we see, for example, payment system networks engulfing Africa as of recent. The fact that Mauritius has started moving in this direction gives me great hope about its meaningful role in fintech in the years to come. How does AfrAsia Bank position itself in the domestic banking sector? We may be a global bank but we remain in a single location. We are working in two directions: to grow steadily and increase our income, and to improve our quality. Stable growth is secured through the gradual increase of volume and quality. This is what we pursue on the asset side and we have enough knowledge in some African and Asian countries for that. For institutional investors, we have to ensure that we always remain liquid. In fact, 70% of our assets are liquid and can be turned into cash at any given point in time. That is the kind of business model we have. Our current assessment leads us to believe that this is the model to go with; we support the idea of keeping things simple and effective. What is your outlook for Mauritius? In the financial services’ space, there is a certain vacancy that we have to address. We need to uplift the stock exchange, and become a destination where the fund management industry can locate itself. These are two major areas for the future, alongside the obvious that we mentioned earlier, FinTech. Furthermore, it is also evident that most African countries are heading towards greater political stability. The next few years will really indicate whether this is just a trend or an aberration. In case that it is a trend, the perception of Africa as a safe investment destination will improve significantly. Then the amount of risk will be reduced and capital flows might become easier. Mauritius will become the route through which these investors pass.